So you can get a better idea of what the finished landscape project will look like, we take photographs of your existing landscape. 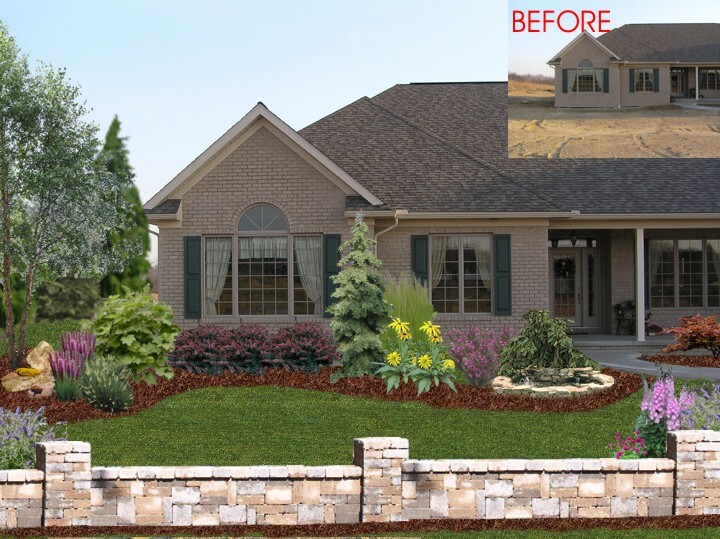 We then overlay realistic digital renderings of the various design features including plants, lawns, walkways, patios and other construction features. 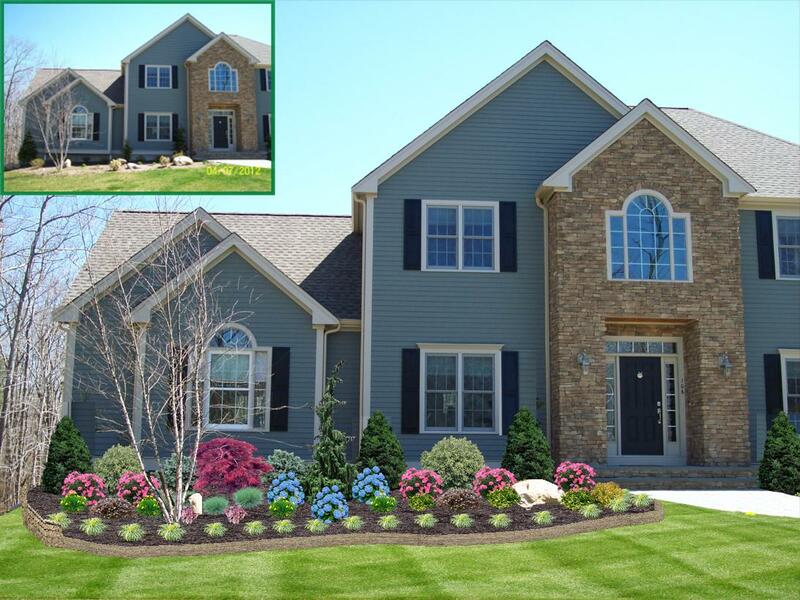 For many homeowners this provides a better visual than the traditional flat landscaping design plans. Below are some examples of digital rendering.